Right-wing women leaders: one step forward or two steps backwards? In the past few years, and even more so in recent months, the alarming rise of extreme-right and populist parties has become ever more noticeable across Europe. Another trend, one that should not be so worrying, is the growing number of female leaders in politics. Both trends, however, seem to have combined to mean that these female figures are often in the leading positions for right-wing parties. Could this visible progress for female political representation in Europe also jeopardise women’s rights? As a French citizen, of course, my concern comes from the rise of the Front National in France, led by Marine Le Pen – and the growing popularity of her niece, Marion Maréchal Le Pen. At only 26, she is the youngest ever MP in France and her traditionalist convictions are often compared to those of her grandfather, the controversial former leader of the FN, Jean-Marie Le Pen. However, this phenomenon is not limited to French politics. In Germany, the Alternative für Deutschland party (AfD – Alternative for Germany) has gained incredible support, which resulted in a historical victory in the regional elections last March: the anti-refugee party achieved the strongest populist victory in Germany since the end of the Second World War. 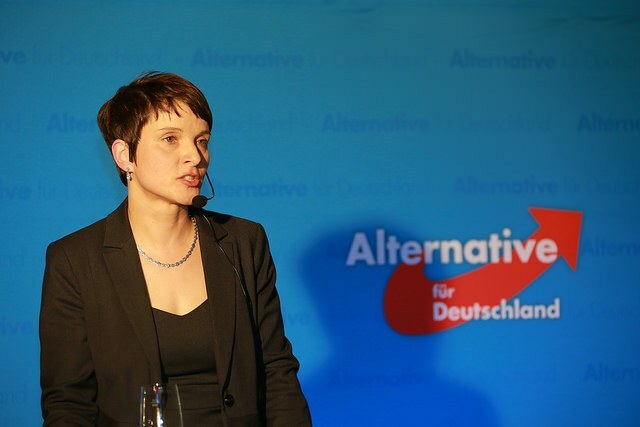 The AfD leader, Frauke Petry has been called “the German Marine Le Pen” by various European newspapers and caused a wave of protests after she suggested that firearms should be used to to stop refugees from crossing European borders. In Poland, the Prime Minister Beata Szydło belongs to the nationalist party Law and Justice (PiS), whose recently adopted measures are – rather ironically – increasingly threatening the rule of law and democracy. Meanwhile, in the UK, the new Prime Minister Theresa May does not have the best record for supporting women’s rights. And it is surprising, and frustrating, to notice that all UK parties have female leaders, except for the Labour Party. Of course, this is a very brief overview, and if more figures could be included in this list, a number of other European leaders, female or not, can also allow us to be more optimistic. What does this mean for european politics? Naturally, the aforementioned politicians do not all share the same convictions – and these various parties cannot be put in the same basket as they do not share a similar programme (nor do they attract the same voters). Calling Frauke Petry “the German Marine Le Pen”, for instance, is a bit simplistic and not really grounded on much more than their gender (and maybe also the fear they instigate in many of us). While Marine Le Pen calls for more traditional familial values and grounds her popularity on a very populist approach, Frauke Petry defends self-entrepreneurship and rejects state intervention. Their only common ground is their exclusive foreign policy and the growing nationalism that favoured their success. And indeed, what most of these parties have in common is the rejection of the current political landscape and their ability to build on the fears that key words like ‘globalisation’, ‘terrorism’ and even ‘progress’ can engender in European populations. In times of great changes, it is natural, and historically easy to witness, that populations turn to more traditionalist and extreme discourses. And this is why parties that build on a growing nationalism in Europe are often the same as those that go against most progressive reforms. For example, as discussed in a recent E&M article on anti-abortion laws, various parties in Europe are calling for a ban or restriction on abortion. This is, as we have seen with recent debates, the case of the Polish PiS, but it is a trend noticeable across Europe (including in the UK with Theresa May). What is quite confusing to most people is how we are witnessing the rise of these women to important political roles, advocating for restrictions on rights that generations of women fought so hard to acquire before us. A real source of concern for me – and I don’t mean to paint a bleak picture for the future of European politics but we should not stand passive against this – is what it means for the growth of these “alternative’ parties. 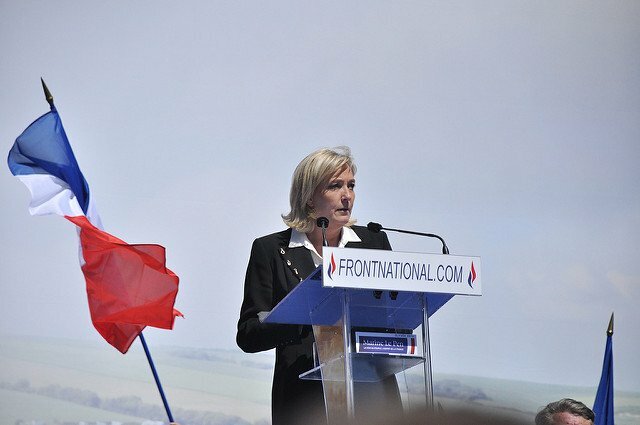 French political scientist Nonna Mayer suggests that the successes of the FN in France have wrongly been attributed to Marine Le Pen’s efforts to “de-demonize” the party’s image, and can instead be explained by the growing number of women supporting the FN. Indeed, the political successes of more and more women in extreme-right parties show (and encourage) the popularity of such parties amongst women. In a political environment that was originally very misogynistic, female politicians have managed to achieve gender equality across Europe – which is another proof of how much more mainstream and even legitimate these parties are becoming. I do believe that we should be more concerned over the wave of nationalism that Europe is witnessing than the gender of those fuelling it. However, it is a shame to witness that the growing number of female leaders in Europe is not a sign that we are going one step forward for women’s prospects, but rather that these same leaders might be bringing us two steps backwards. Victoria Jordan is originally from Paris and has lived in Hamburg and London. She holds a BA in German and History from University College London, and recently completed an MPhil in Modern European History at Cambridge University. She is currently working as a trainee for the European Parliament Research Service, in Brussels. She is an editor for Brain and Baby. The female condom – Yay or Nay?